It's been a while, so it's time for another LIVE Q&A!! I love these sooooooo much. In fact, I'd like to start doing them every other week, to make me more consistent with them. Would you guys like that? Too often? Not often enough? Let me know in the comments below! I won’t be able to see or hear anyone; it’s as if you’re watching me on TV (weird for me, awesome for you…). I will spend about 60 minutes answering as many questions as possible! Since no one can see or hear you, feel free to be multi-tasking; doing your dishes, folding your laundry, working out, or doing whatever you’d like during the Q&A. Just plug a headset into your phone or computer so you can hear me ramble and away you go! To join in live, keep your eye on my Facebook page. At 8:30pm sharp I’ll post the link to the session. You simply click on the link, and start watching! So easy. Live questions get top priority! They will be answered on a first come, first served basis for the most part (unless they are repeat questions). To submit a question LIVE during the Q&A session you simply leave a question in the comments of the Facebook post that has the link to the Q&A. During the session your question gets top priority! Got questions but can't submit your question live? Drop your Q in THIS BOX and I'll get to it if I have time, or I'll try to do a post about it sometime soon! It’s really a ton of fun, so I hope you join me! “See” you all tomorrow night! 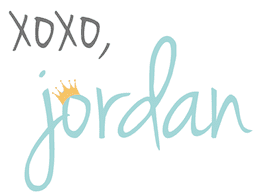 Hi Jordon! Can you please talk about what kind of schedule you have for your kids? I recently had my second and I am having so much trouble syncing up the kids schedules. It seems I am either trapped at home all day so they can each nap when necessary or I’m skipping one of their naps so that we can get out. I would love your advice since all four of your kids look so healthy, happy and great overall!! Thanks!